Shares of Tesla (Nasdaq: TSLA) dropped 4% early Thursday after the electric car maker suspended the expansion initiatives at its Gigafactory in the US. According to reports, Tesla is joined by business partner Panasonic in freezing investments in the production facility amid concerns of demand falling short of expectations. Earlier, the companies had decided to increase capacity by 50% at the much-hyped manufacturing facility in Nevada, which was set up spending $4.5 billion. The financial uncertainties surrounding Tesla has also prompted Panasonic to put on hold its plan to invest in the carmaker’s production facility and battery plant in Shanghai, China. However, it will continue to extend technical support for the ventures. Of late, there has been growing concerns about the weakening demand for Tesla’s flagship Model 3 sedan, especially after initial estimates revealed a record decline in deliveries in the early months of 2019. The poor show added to the negative sentiment among investors, who are already worried about the company’s inability to meet production targets in recent months. The Chinese government recently slashed subsidies on electric vehicles, at a time when some of the global players including Tesla were expanding their presence in the Asian country and other markets like Europe. 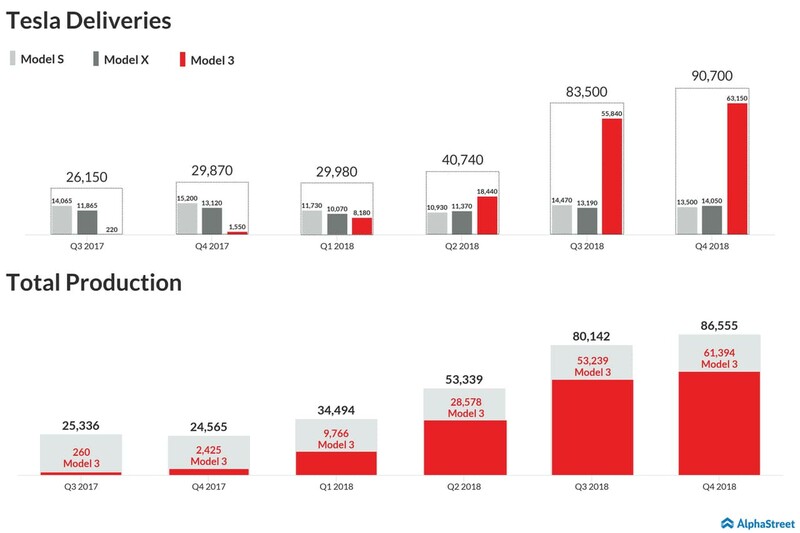 Overall, there are clear indications that the going is getting tough for Tesla, and the situation casts doubts over the company’s ability to meet the production and delivery goals going forward. Also, CEO Elon Musk’s efforts to improve the cash position and reduce debt are yet to yield the desired results. In the future, Tesla will be facing tougher competition from the traditional automakers, who are busy preparing to roll out their EV models. Last month, the company’s stock suffered after its long-awaited Model Y crossover SUV failed to impress the market. The lackluster response suggests that orders for the new car might fall short of expectations. The first unit of Model Y is expected to hit the road only next year, or even later. Tesla’s stock was down 3.6% in pre-market trading Thursday, after closing the previous session higher. Currently passing through a volatile phase, the shares lost about 11% so far this year and 8% in the past twelve months.